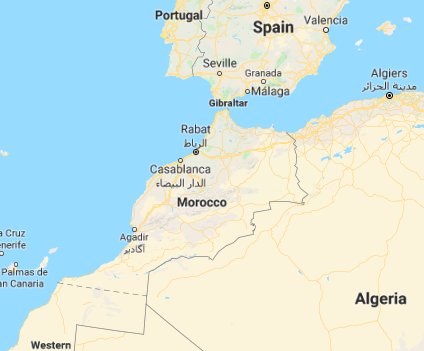 “Morocco.” Map. Google Maps. Google, 31 Oct. 2018. Web. 31 Oct. 2018. Officially known as the Kingdom of Morocco, Morocco has a diverse landscape with deserts, beautiful sandy coastlines on both the Atlantic ocean and Mediterranean Sea, and mountainous peaks with three prominent mountain ranges that run parallel to each other: the Middle Atlas, the High Atlas, and the Anti-Atlas. Morocco is a land of fascinating scenery which is why tourism is one of its major industries.Most Moroccans are of Arab, or mixed Arab- Berber decent and make up 99% of the population. The traditional dress for men and women is called a jellaba which is primarily a long-sleeved, hooded garment. Men may also choose to wear a red cap called a fez. One immigrant from Morocco, Leila, says that she loves to wear her ethnic clothing when she attends social events such weddings and formal parties. Apart from the fact that they intensify her understanding of femininity, wearing her traditional attire symbolizes a connection to a culture and memories that would otherwise be neglected and forgotten. 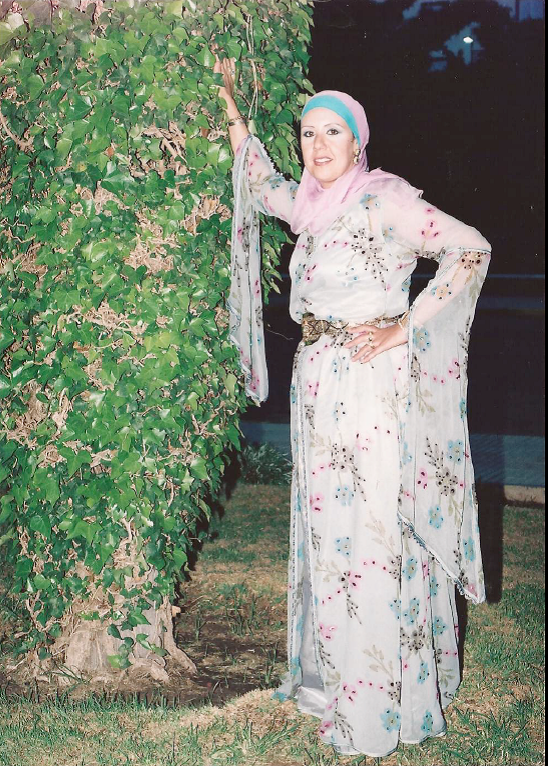 Leila describes Moroccan clothing and says that the two main types of dress are the caftan and the jellaba. When asked to describe the difference between the two, she says that, “(the caftans) are just like a cloak and long sleeves kind of really long sleeves and usually have a belt and the jellaba is also like a long gown and dress with with a little hood but you don’t put the hood over your head, it just hangs there and you put it over your (regular) clothes to go out.” Traditional wedding dresses are a big part of Moroccan culture. Leila explains that the fabrics are purchased from Moroccan suks or markets in cities like Casablanca. The bride’s measurements are taken and the garment is hand sewn to perfection. When asked whether she would pass on her caftans to her daughters, she states that she believes that each person creates their own memories by designing their own caftans because it is a very personal experience and because it represents, “beauty, femininity and artwork” all rolled into one. wearing these cultural dresses she said, “Back home when you have the right make-up and hair, it’s amazing,” but she does not generally wear the dresses in the United States. The man also has a kaftan which is usually a simple, white dress similar to the women. The dresses represent where she comes from and she describes it as “something you don’t want to lose,” and they are more special to her because she grew up in Morocco, it’s who she is. 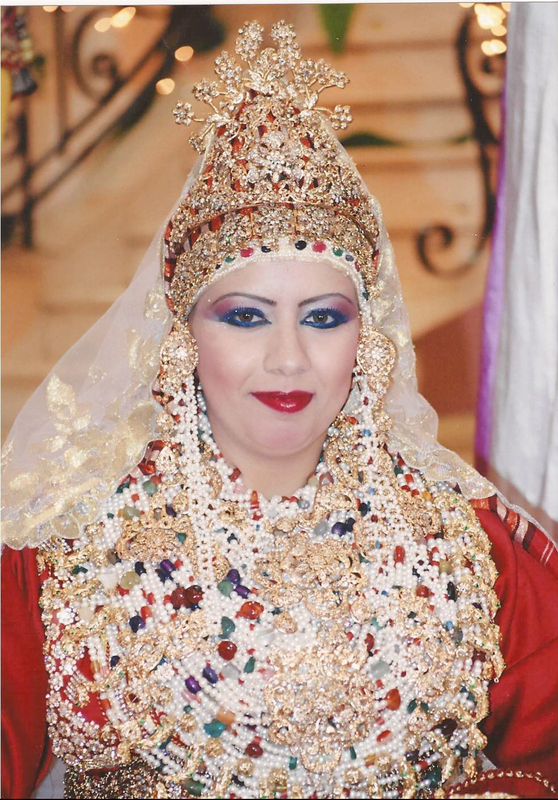 During her wedding she wore 7 different dresses and each dress represented a different area of Morocco. Dounia notices the fashions changing with a lot more beading rather than a simpler look compared to what dresses looked at when her mother wore them. 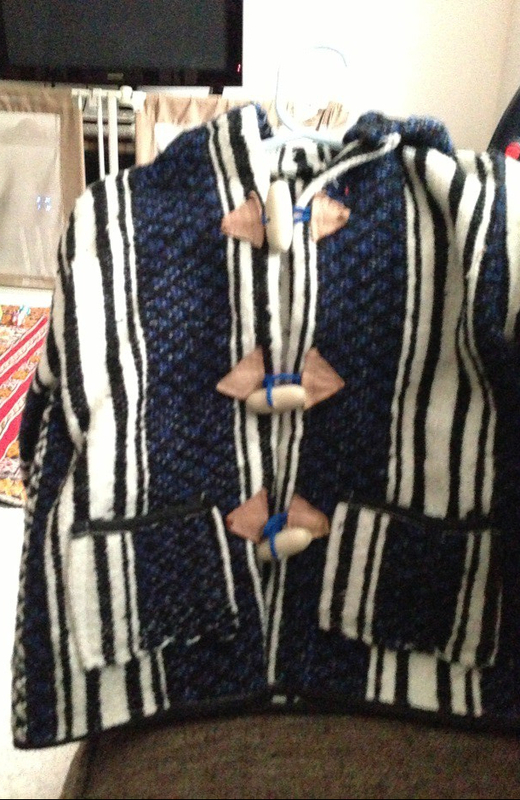 She thinks it is important for her son to know about his Moroccan culture which influences her to buy him cultural clothing at a young age. long dress that is very simple and plain and the second piece goes on top of the first and is very detailed. There are also other dresses that are a combination of both the kaftan and the takshita. In addition, Hayat expresses that she wears the abaya at times as well, which is a modest, long, black dress and the jilaba which is a plain light colored modest dress when she attends services at the mosque. 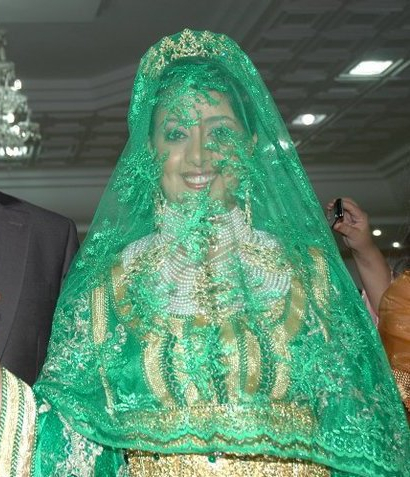 Hayat wears her traditional Moroccan clothing on occasions such as weddings or even the religious holiday, Eid.